Embrace the elegance of a unique equine experience in a remote haven of natural beauty located in the heart of horse country: Marion County, FL. 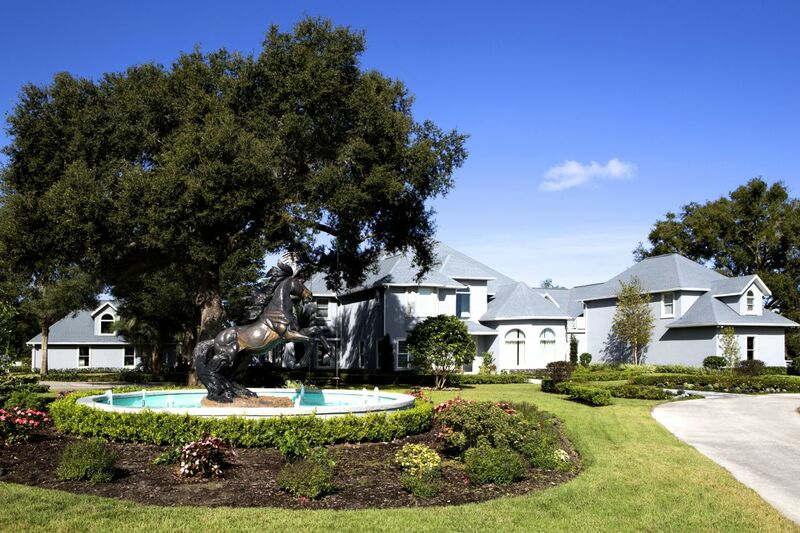 Where horses graze on acres of emerald green pastures sprawling beneath towering Spanish Moss-laden oak trees, this intimate all-inclusive retreat offers one of Ocala’s most sophisticated equestrian experiences. That’s the BG Polo & Equestrian Resort experience. Located just a short drive from Orlando, the 10,000-square-foot, seven-bedroom Main House features classically designed accommodations with stunning views of the surrounding paddocks, while three luxurious three-bedroom Cottages and three-bedroom Farmhouse offer the ultimate in privacy and comfort. Guests can rent the entire property for a wedding, family reunion or corporate retreat or just the main house, cottages or Farmhouse while enjoying all of the amenities. The well-appointed equestrian facility includes immaculate stables with 70 stalls, three newly renovated barns, a 38,000-square-foot covered lighted arena, an outside arena for instruction and demonstrations, multiple paddocks, long and short term horse lodging, and accommodations for RV hook-ups. With support from the equestrian training staff, explore and enjoy the adjacent 110-mile long Marjorie Harris Carr Cross Florida Greenway or indulge in taste of polo led by international polo veteran Marcos Bignoli who oversees the Ocala Polo Club* located at the adjacent Florida Horse Park, which is home to a turnkey trail riding program. Afterward, reward yourself with a relaxing swim and spa massage, and a glass of your favorite wine by the pool, before settling in for a sumptuous gourmet dinner prepared by a private chef.